Half the world’s population of bluebells can be found in the UK. They’re generally showing off from early April to the end of May, hanging out in old woodland and on bracken-covered hills (my husband stalks the ones near us with a camera willing them to open). We have several top spots to catch them in Sussex, below are some of the best. 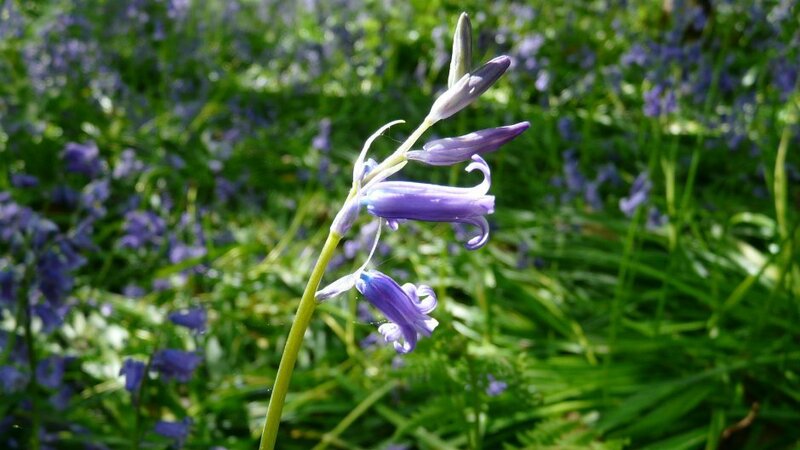 Follow the celebrated Arlington Bluebell trail from Bates Green Farm between 10.00am and 5.00pm daily until 14 May. A growing tradition for the last 40 years, it now covers seven possible trails over three farms, one of them wheelchair accessible. There’s also the opportunity to watch cows being milked in the afternoons (3.00 to 5.00pm) and to pet penned sheep and goats. Several charities are involved providing refreshments. There’s also a children’s quiz sheet and you can try your luck in adult and junior photo competitions. Looking for a pub for afterwards? See my review of The Sussex Ox. The privately run Angmering Park Estate, which dates back to the Norman Conquest has one of the best bluebell displays in West Sussex. 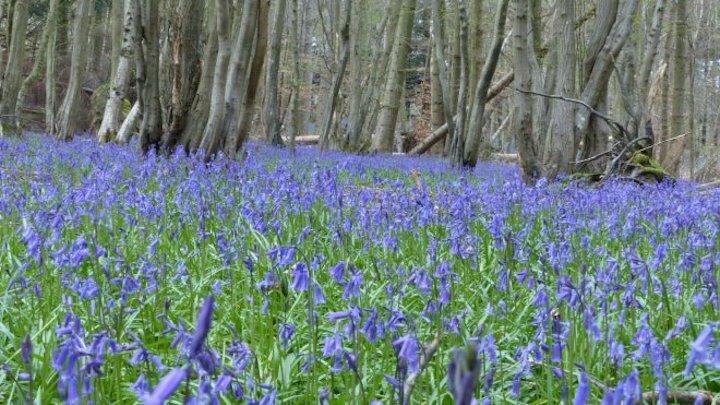 It hosts a popular 10K Bluebell trail run in late April – it’s already sold out for this year so one to keep tabs on for next if you fancy a challenge in lovely surroundings. If you take the walk, watch out too for grazing Highland cattle. There are a couple of pubs in the area for a pit stop after. 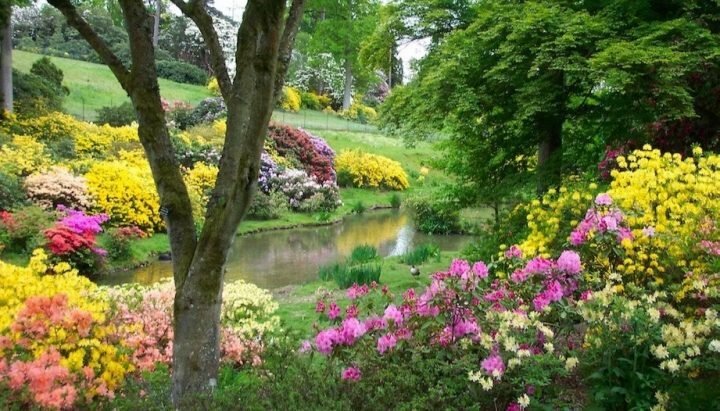 The aptly named Walk Wood at Sheffield Park and Garden is a newly restored ancient woodland opening for a special preview season from 24 April. Thanks to a 15-year labour of love by the head gardener, a network of paths from the early 1700s have been recreated and will be surrounded by carpets of bluebells looking suitably lovely around the hornbeam trees and 400-year-old stumps. There’s also a Cadbury egg hunt running here over Easter. Ancient and secondary woodland and open heathland combine at this spot in the High Weald Area of Outstanding Natural Beauty. It’s to the north east of Powdermill Reservoir so you can combine bluebell spotting with waterside views. Popping onto Battle high street? Ditch your wellies and check out Muddy Award winners DapperM menswear and British Design, British Made. The woodland and the wild garden at Nymans are carpeted with bluebells and guided tours are available to show you the highlights. In the gardens around the historic house see the magnificent magnolias and, until 31 May, a contemporary art trail based on the alphabet, created by John Newling. This is another place with a Cadbury egg hunt over Easter – find all the flower pot birds to claim your chocolate prize. 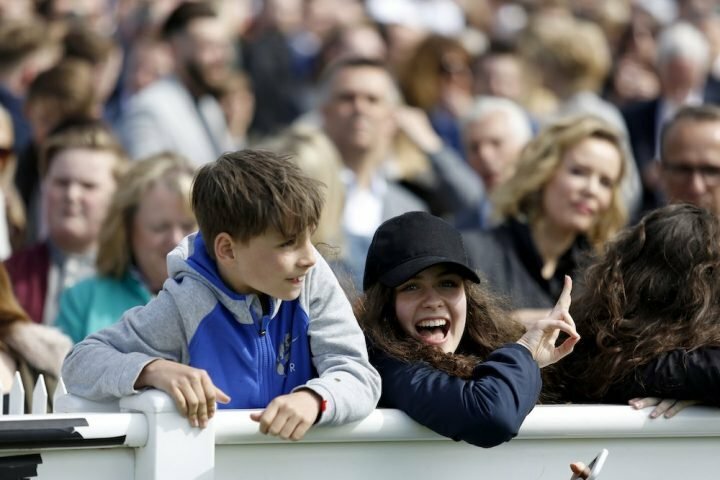 The Antiques Roadshow will be dropping in to Nymans on 8 June so get hunting through your attic and practice your “I don’t really care about the money” face. Around 20 of the 100 acres of the original Standen Estate should bluebell-tastic this spring with Rockinghill and Hollybush woods carpeted. New management of the woodland has helped boost numbers of the flowers. Purple orchids bloom at the same time to add to the magic. You may also spot roe and fallow deer, and perhaps even badgers from a recently completed viewing platform. Pick up a walk leaflet at visitor reception for suggested routes or download one online. One walk will take you to the Bluebell Railway. The Standen house itself is an Arts and Crafts family home with interiors by Morris & Co. Also in the area, dip into Winne the Pooh’s Hundred Acre Wood. This varied ancient wooded area, now a Sussex Wildlife Trust nature reserve, incorproates ponds, streams, meadows and reclaimed arable land. Besides bluebells you may see wild orchids, purple emperor butterlies and ponies that help to keep the grass grazed. The common is about five miles north of Petworth and there’s a car park at Ebernoe Church. The Mens nature reserve (note, no apostrophe – women are welcome!) is another bluebell spot near Petworth. For more suggestions see sussexwildlifetrust.org.uk. Got a favourite of your own? Please share in the comments box. to her at the proper time to plant them with planting instructions!!! 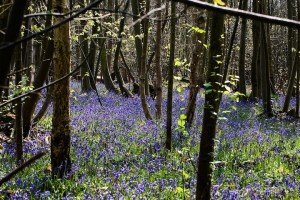 I never saw a more enchanting sight than the bluebell woods!!! Hi Charlotte, What a lovely story! They’re certainly an annual treat. Hope your daughter’s bulbs work out well!